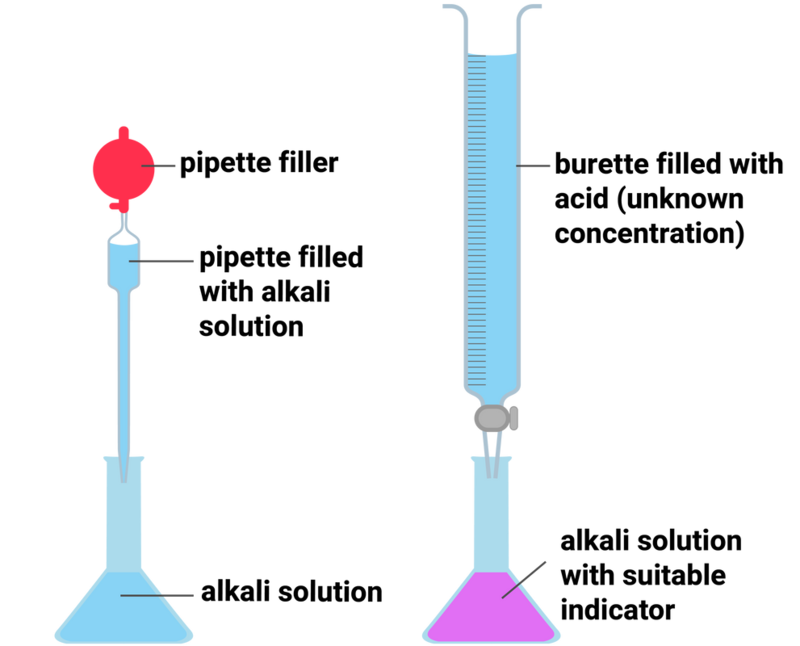 A titration is carried out to determine the volume of hydrochloric acid required to neutralise a solution of unknown concentration of sodium hydroxide. An indicator must be used to determine the end point. Standard procedure for a titration must be carried out, such as the use of a white tile and swirling the conical flask to obtain an accurate end point. The data must then be used to determine the concentration of the unknown solution.